State topographic maps have a special relationship with the national landscape they are designed to symbolise and offer much more than a dry statement of facts and approach a kaleidoscopic fusion of art, science and culture. And far from being standardised, topographic mapping (especially in Europe) exhibits a wide diversity of cartographic styles, according to how the national landscape is to be used, valued, and preserved. As with any map, topographic maps are subject to the key decisions in mapmaking – choices over what to show and how to show it – and these choices can be slow to change. So what happens when a new country is born? The central European nation-state of Slovenia achieved independence from the Socialist Federal Republic of Yugoslavia on 26th June 1991, joined NATO and the EU in 2004, and in 2007 became the first former communist country to join the Eurozone. 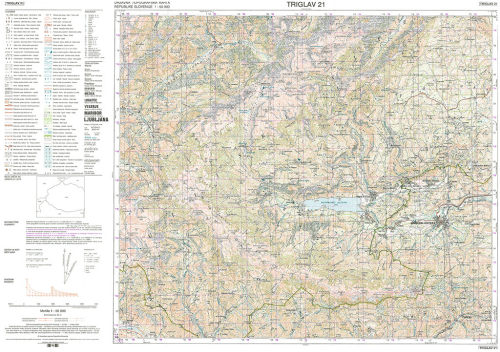 Following independence, Slovenia established a comprehensive topographic mapping programme, with the new 1:25,000 series (comprising 198 sheets) being the first to completely cover the state territory in 1999, followed by the 1:50,000 series (58 sheets) which was completed in 2005. 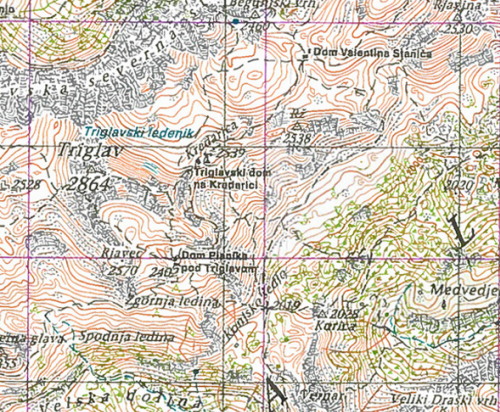 The map shown here is the sheet from the 1:50,000 series that includes Triglav, 2864 m, the highest mountain in Slovenia and highest peak of the Julian Alps, situated in the north-west of the country. The landscape of the new country was captured and defined using a new cartographic language. 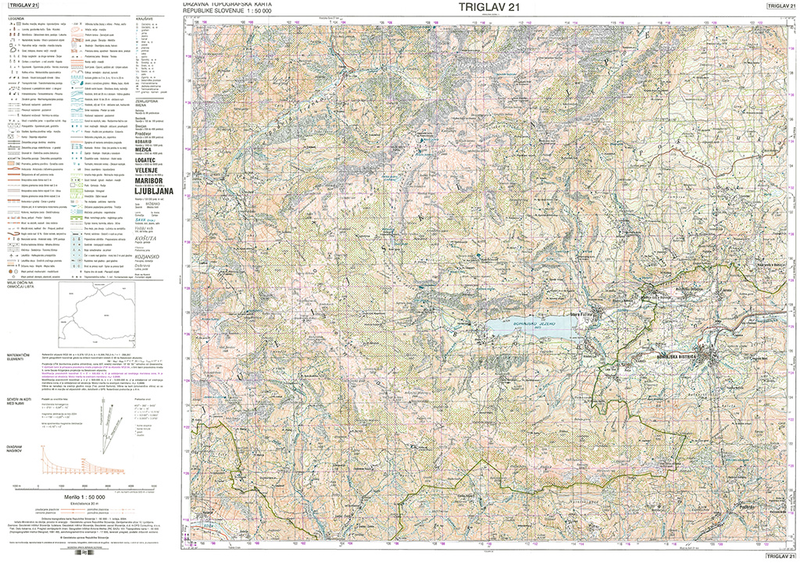 Under the old regime, topographic maps were available only to certain users, and omitted key aspects of the landscape such as caves and depressions – key features of the Karst landscape that covers much of the country. These features now take their rightful place in the landscapes of the new and fully accessible series of topographic maps. The extraordinarily rich symbology – with over 200 graphically distinctive symbols in the 1:50,000 series – is broader than any other employed by a European national mapping agency at this scale. Here, the language of cartography is in full bloom.